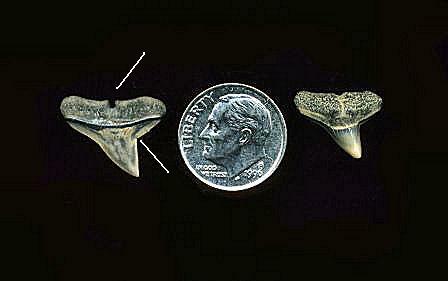 The hammerhead ( Sphyrna laevissima ) tooth is an unusual find in New Jersey. 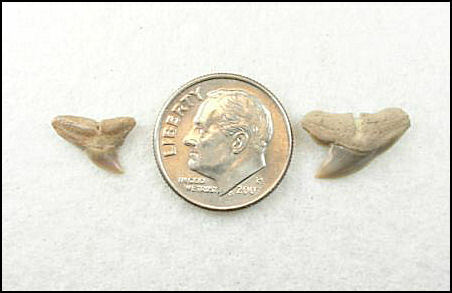 The teeth of this well known shark range in size from ¼ of an inch up to an inch, with the average being a little less than ½ inch. 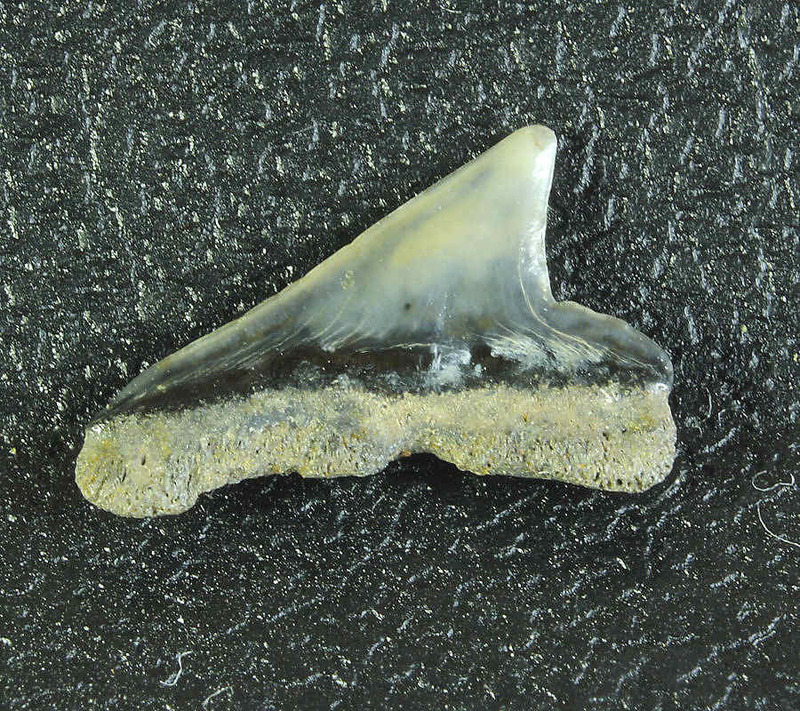 The cutting edge is smooth with a distinctive notch on the distal side often referred to as the “hammerhead notch”. The root posses a strong nutrient grove. I've found the teeth of Sphyrna laevissima tend to be on the smaller side in NJ and most will slip thru the standard 1/4 inch screening. 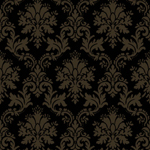 Most of my examples have been found using a finer mesh screen. 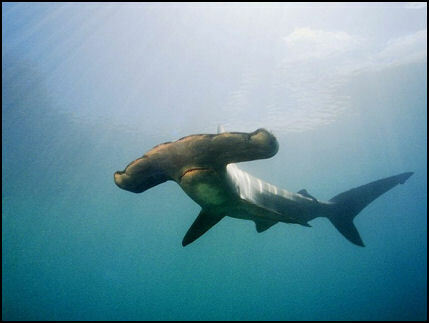 Recent studies suggest that the placement of eyes on this curious creature give the hammerhead outstanding binocular vision and an ability to see through 360 degrees. This is my only relatively complete NJ specimen. are two characteristics of Sphyrna laevissima. A pair of hammerheads collected from Calvert Cliffs, MD. Note the distinctive “hammerhead notch” and lack of serrations on the crown.